Merging Books and YouTube – I’m Booktubing! Well, I did it. I did what I said I’d do. I’m booktubing! There’s a Booktube Newbie Tag where new booktubers make videos answering ten questions about themselves and books. Here’s mine. I hope you enjoyed that. Maybe you learned something new about me. Did you? Well, I’ve been thinking about a few things I can do in video format, and I have some ideas. 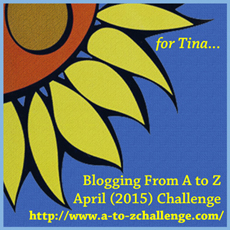 First, I’m going to read the A to Z Challenge I did last year in video format. We’ll see how that goes. Second, I’m bringing Authors Answer to video form! I’ll be talking about my answer and expanding on it. But I’m going all the way back to the first question. Maybe some other booktubers will take up the challenge and answer the questions themselves. Wouldn’t that be interesting? My next video is likely to be about my newest books, known as a book haul video. They tend to be popular among booktubers. Are there any booktubers out there reading this? If you are, let me know and leave a comment with your YouTube channel.